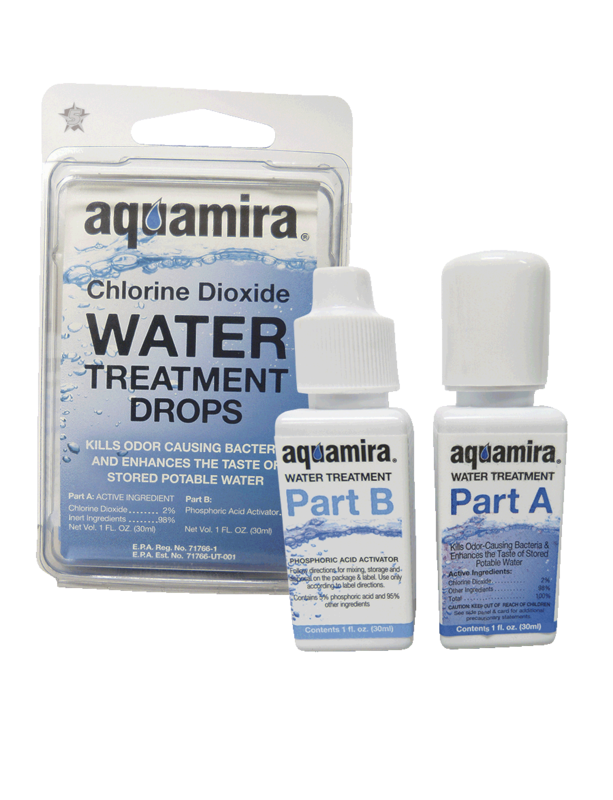 These Aquamira® Water Treatment Drops are what people rely on when looking for serious water treatment in nearly every situation. The treatment drops unlock the power of chlorine dioxide to kill bacteria and enhance the taste of treated water. Small size, long shelf life, and high efficacy make this the ideal solution for anyone in any situation around the world. Unlike iodine or other treatments, these drops won’t discolor your water and they actually improve its taste. The EPA registered chlorine dioxide formula has consistently proven to be effective in clear, muddy, warm and cold water.